Create purple text that's clear and bold with uni-ball Signo 207 Retractable Gel Pens. Super Ink features three-way protection against water, fading, and fraud, and it's also vividly pigmented and fade-resistant, making these gel pens perfect for archival-quality projects. 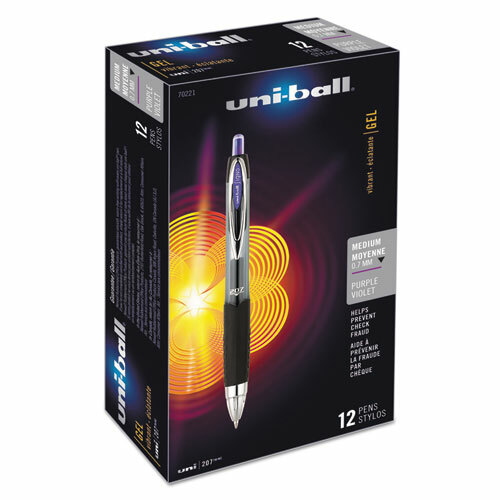 Each pen features sleek, metallic accents for an elegant appearance and a visible ink supply, ensuring that you'll never unexpectedly run dry.